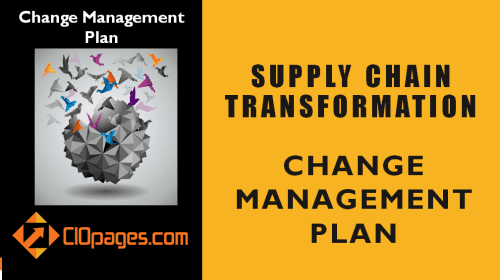 Who are the top ten change management thought leaders? 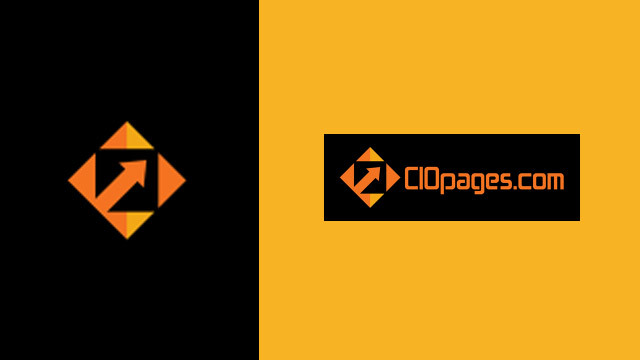 Here is the take of CIOPages.com. 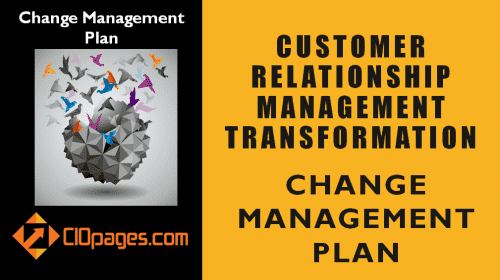 We admit that any list of top ten change management thought leaders is subjective and may involve some glaring omissions. 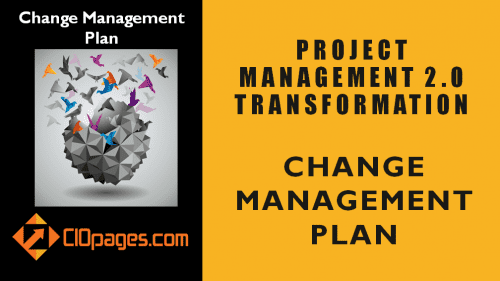 However, if you are embarking on a change management endeavor, learning about the change management thought leaders and their postulations will help understand the conceptual underpinnings of their change management models and approaches. 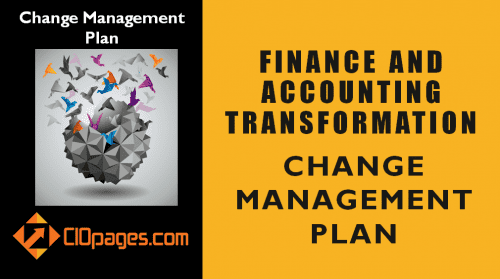 Julien Philipps: A McKinsey consultant and a collaborator with Bob Waterman and Tom Peters (of In Search of Excellence fame), Julien Phillips is the author of Enhancing the effectiveness of organizational change management in which he proposed a change model. 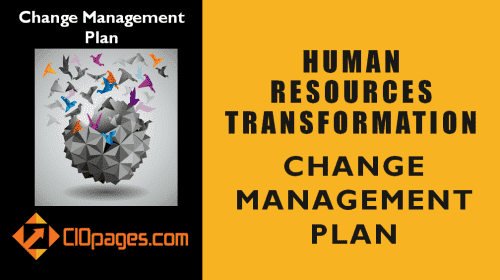 Jeff Hiatt: Hiatt originated the famous ADKAR model, one of the most popular change management models used by corporations worldwide. 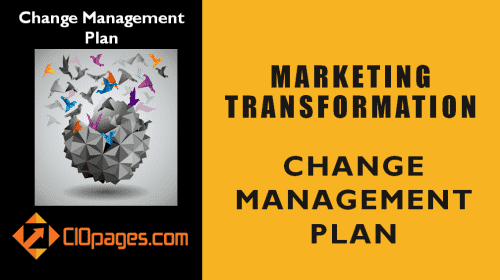 John Kotter: One of the celebrated thought leaders of the change management movement, Kotter is the proponent of the 8-step process for leading change. Daryl Conner: Daryl Conner is the author of Managing at the Speed of Change, the chairman of Conner Partners, is a world-renowned expert in transformation implementation. Dean Anderson: The c0-author, along with Linda Ackerman Anderson, Dr. Anderson is a co-founder of Being First Inc., and a thought leader in personal transformation and change. Everett Rogers: Everett Rogers is famous for his work on Diffusion of Innovations and coined the term Early Adopters in his Innovation Adoption Lifecycle. Kurt Lewin: Kurt Lewin proposed the famous three-stage change model – 1. Unfreeze 2. Make change 3. Refreeze. Elisabeth Kubler-Ross: Kubler-Ross is a psychiatrist and proposed the five stages of grief model, that has been adopted as the change curve – 1. Denial 2. Anger. 3. Bargaining 4. Depression 5. Acceptance – which allows us to understand the emotional response of people to change. Richard H. Thaler and Cass R. Sunstein: Thaler and Sunstein proposed the Nudge theory which postulates that making people adopt change by “nudges” that are subtle, nuanced, indirect, and non-authoritarian are easier than top-down mandates. 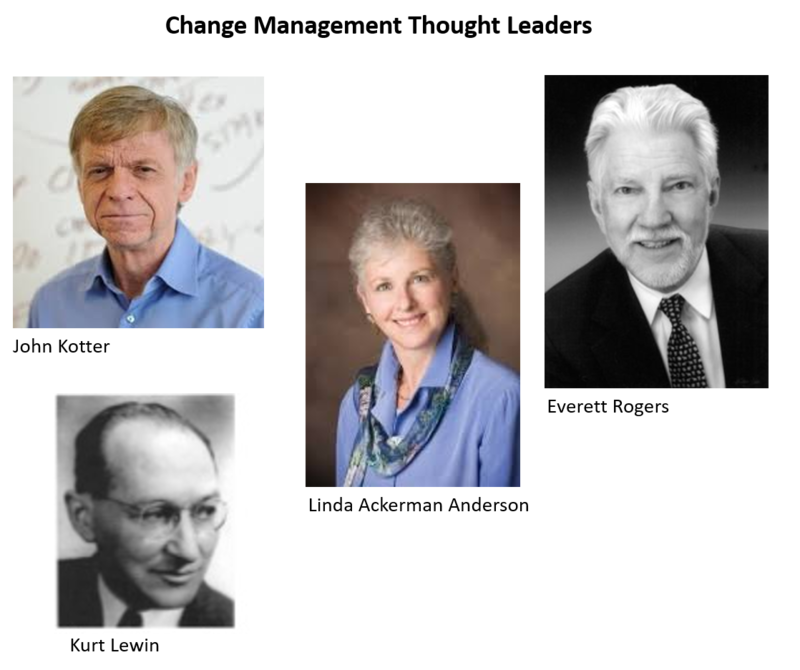 Did we miss any other top change management thought leaders? If so, please share your nominations along with why we should consider them as a Top Ten thought leader in the change management movement?